Looking for a hotel for gay men? Here it is guys...Connexion Hotel! This value priced hotel is one great deal to take advantage of if you are looking for a fun place to stay in Nice, sling included if you so desire. Connexion Hotel is about the size of your average family run hotel, just with a different type of family. As soon as you first enter the reception area of Connexion Hotel, you'll notice that meticulous efforts have been taken to make you feel very much at home and welcome. 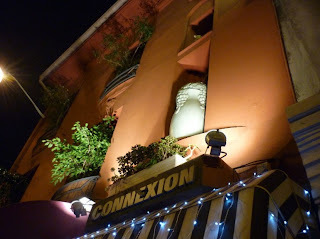 And your hosts of the Connexion Hotel are Didier and Olivier, tw totally sweet and fabulous guys! They really want you to have the best possible stay and put in their best efforts for guests to have the opportunity to meet each other. You won't find more hospitable and accommodating hosts. Connexion Hotel is located at: 65 rue de la Buffa, in a great area of Nice, maybe a quick 15 minute walk (if even) away from the major shops and most of the clubs, it's also approximately 2 blocks away from the beach. And only 10 minutes by transit to the airport. 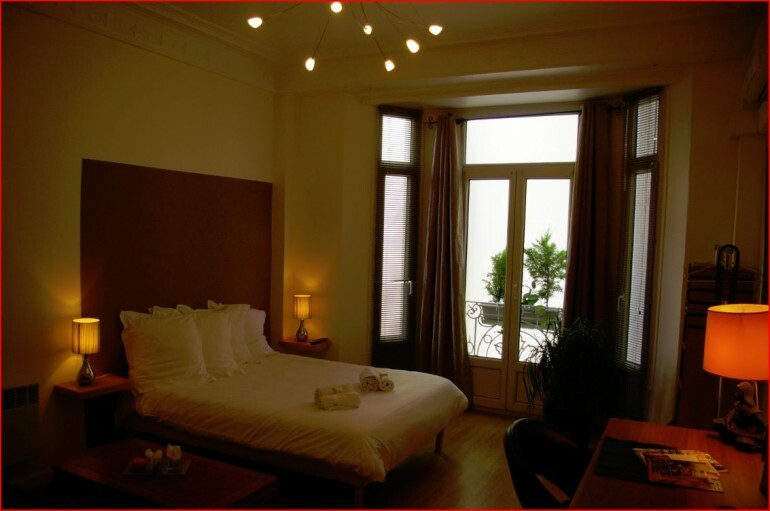 Rooms come in a variety of sizes and types, just like men. Small, Medium or Large. You also have your choice of getting a standard room or one of their play themed rooms. Sizes and games are up to you. 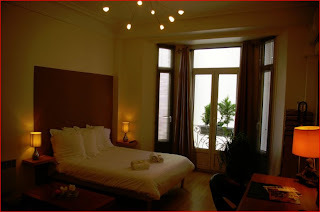 Connexion Hotel offers free wi-fi internet, minibar in the room, free cable/satellite, flat screen TV's, showers, etc. Breakfast is fantastic and included in the price, and also a great way to meet the other guests. I'm repeating myself but you can tell the owners/hosts do their best to make sure everyone feels warm and welcome as they also hold other weekly receptions (sometimes themed) with drinks. If you are single or a couple you won't feel out of place at Connexion Hotel.